Jen has written and performed five solo shows (Me My Mum & I, British(ish), Now & Then, Wishful Thinking, and The Other One) around the world, including at Melbourne International Comedy Festival, Norway Comedy Box Festival, Comedy Club Asia, Adelaide Festival and the Edinburgh Festival. 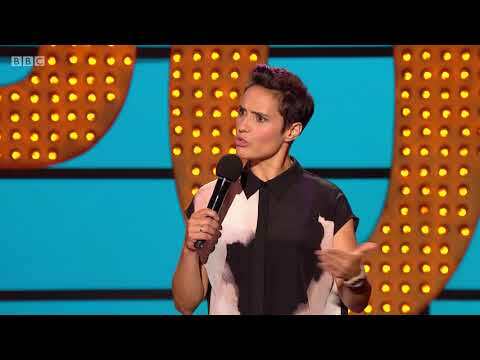 She has toured extensively — with comedians Kerry Godliman, Francesca Martinez and Roisin Conaty, among others — and is currently supporting Frankie Boyle in London. Jen has performed with Russell Brand on his radio comedy Cloud Cuckoo for Radio 2, in Kerry Godliman’s sitcom, Kerry’s List, for Radio 4, and has performed stand up on Comedy Central in Live at the Comedy Store. Jen has also recently recorded stand up for Live at the Apollo which will be aired in December. Jen can be heard wittering on about not very much at all on the podcast Maureen & Jen with her pal Maureen Younger as well as guest spots on the Guilty Feminist, Standard Issue podcast & Global Pillage.